ISIS has 5,000 to 6,000 fighters defending the city of Mosul against an offensive by Iraqi forces, the head of Iraq’s special forces Lieutenant General Talib Shaghati said on Wednesday. Prime Minister Haider al-Abadi on Monday announced the start of an offensive on the northern city, the last major stronghold of the militants in Iraq, with the backing of a US-led coalition. “Intelligence information indicates that there are 5,000 to 6,000 ISIS fighters,” Shaghati told a news conference near Erbil, the capital of the Kurdish region east of Mosul. Russian President Vladimir Putin spoke by telephone with the leaders of Turkey and Iraq about battle for Mosul, where Iraqi forces are fighting to oust ISIS, the Kremlin said Wednesday. Putin “wished the Iraqi army and its allies complete success in their objectives,” the Kremlin said in a statement on his conversations with Turkish President Recep Tayyip Erdogan and Iraqi Prime Minister Haider al-Abadi. He also informed the Iraqi leader about the “measures taken by Russia to defuse the situation” in the Syrian city of Aleppo. Moscow announced on Tuesday that Russian and Syrian air forces had stopped bombing Aleppo ahead of an eight-hour “humanitarian pause” in the battered city on Thursday. Putin is to attend a summit on Syria in Berlin later Wednesday with the leaders of France and Germany. In a separate conversation, Putin also discussed the battle for Mosul with Erdogan, the Kremlin said, but gave no further details. The long-awaited offensive against Iraq’s second city began Monday with air and ground support from a US-led coalition. Turkey said Tuesday it will continue to take part in the air operation after Ankara agreed a deal with its coalition partners. 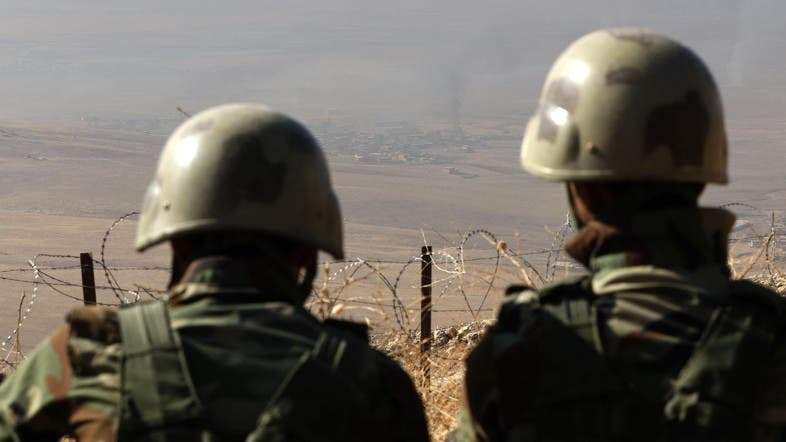 Plans for the offensive were marked by tensions between Iraq and Turkey, which insisted on being part of the operation despite objections from Baghdad. Hundreds of displaced Iraqi Christians on Tuesday danced and sang to celebrate an Iraqi military operation to retake their community’s main hub of Qaraqosh from militants. Iraqi Christian men, women and children – some of them holding candles – gathered at Mar Shimon church in the Kurdish capital of Arbil to pray and celebrate, an AFP correspondent reported. Iraqi federal forces on Tuesday moved deep into Qaraqosh, a town that lies around 15 kilometers southeast of Mosul and was seized by ISIS militants in August 2014. Qaraqosh had a population of around 50,000 people prior to an August 2014 offensive across the Nineveh Plain east of Mosul that forced almost every resident to flee. The overwhelming majority of Qaraqosh residents were Christians, making it the largest Christian town in Iraq. Earlier, the pace of operations slowed on Tuesday as Iraqi forces began pushing toward larger villages and encountering civilian populations during the end of the second day of a massive operation to retake the northern Iraqi city of Mosul from ISIS.